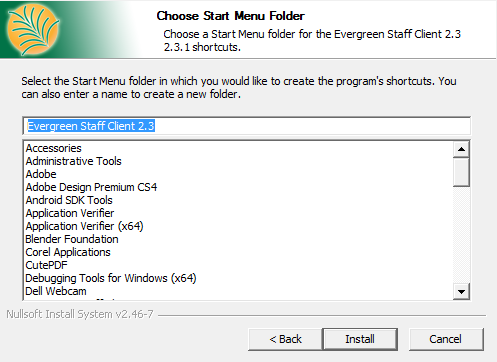 Official Evergreen releases have corresponding Windows based staff clients ready to use. Download the staff client from http://www.open-ils.org/downloads.php. 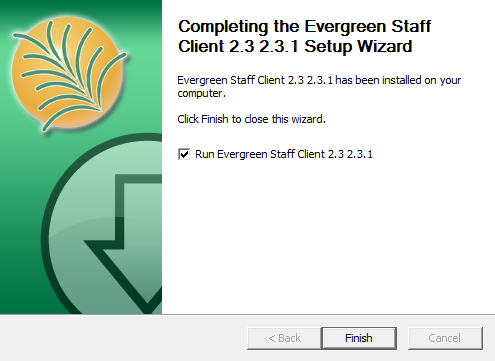 The version of your staff client will need to match the version of your Evergreen server. If you are unsure about the version of your Evergreen server, contact your system administrator. 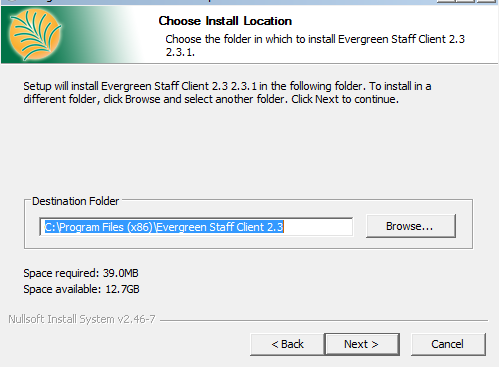 Click on the downloaded Evergreen setup file. Click Next to accept desitnation folder. 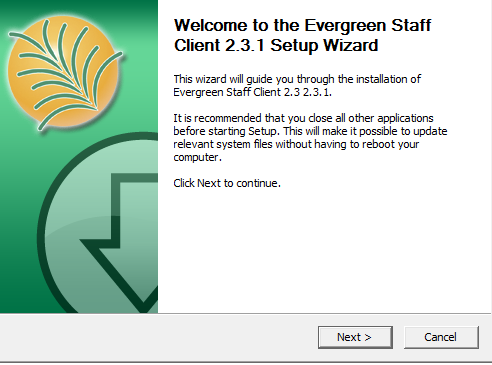 A pop-up should appear indicating that Evergreen has been installed. Click Finish to complete the installation. When you login to Evergreen from the workstation for the first time, you will also need to register your workstation. © 2008-2013 GPLS and others. Evergreen is open source software, freely licensed under GNU GPLv2 or later. The Evergreen Project is a member of Software Freedom Conservancy.